Are You Ready to Apply for a Mortgage in 2017? Do you have a mortgage but are considering cash-out refinancing? Some potential borrowers have an advantage when getting financially ready for a major loan application, while others may overlook important areas that need attention long before the loan paperwork is filled out. January 6, 2017 - Is 2017 “your year” to become a home owner? 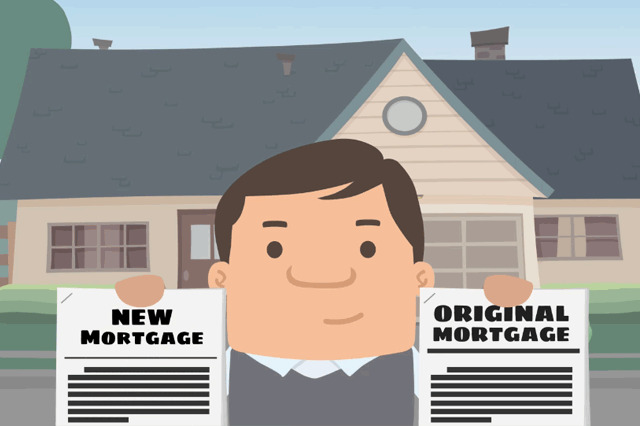 Do you have a mortgage but are considering cash-out refinancing? Some potential borrowers have an advantage when getting financially ready for a major loan application, while others may overlook important areas that need attention long before the loan paperwork is filled out. Knowing your advantages and shortcomings as a loan applicant can help you better prepare for your new loan. Do you know how ready you are to apply for an FHA mortgage loan or refinance loan? An important question to ask-how long have been planning and preparing for the new loan? If you don’t give yourself enough time to sort out potential problems such as disputing items on a credit report or lowering your debt-to-income ratio, you could be cheating yourself. Many get financial advice that includes taking at least 12 months to save, budget and research the new loan. In fact, the research phase of your home loan journey could be the most important part. What’s the best course of action for your FHA loan application? Do you have a location in mind? The type of property you want to buy? Other important questions include how long you plan on staying in the home, and whether or not your future plans include putting that home back on the market before you pay off your mortgage. The answers can affect the type of loan you choose, whether it’s a fixed-rate, Adjustable Rate Mortgage (FHA ARM) or other options. It’s also crucial to check up on your own credit reports and payment history as early in the planning stages as possible. All borrowers applying for a new home loan should have a minimum of 12 months of on-time payments on their credit record at loan application time. If you don’t know what your credit report says about your payment history, you should find out as soon as possible-do not delay getting the answers in this area as it may affect how you proceed with the rest of your planning stage. Do you know your FICO scores? Those who do not have a big disadvantage- the lender is required to check your credit history and FICO scores, and while those with scores below 640 may technically qualify for an FHA mortgage under the rules found in HUD 4000.1, lender standards also apply. Do you know what kind of credit scores your chosen lender is willing to accept for a home loan? If you don’t know your FICO score is, find out as soon as possible. Budgeting for your anticipated monthly mortgage payments is also important in the planning stages; your mortgage payment will include not only the amount of the principal and interest, but also any required mortgage insurance, hazard insurance, property taxes...do you know how these items will affect the amount of your house payments? Knowing the answers to these questions makes you a much more informed and well-prepared house hunter.